Blood platelets count is a lab test that is conducted to measure the number of platelets present in the blood. The platelets are plate-shaped cells that are normally found circulating in the blood, and they are the first cells to respond to any damage in the blood vessels by binding to the site of the damage and forming blood clots. A platelets count test is used by doctors to get an insight into the health of a person suffering from conditions that affect effective clotting such as infections, bleeding disorders, and blood cancers. The normal range for platelets count is considered to be 150,000 to 450,000 per microliter of blood. Primary thrombocythemia where abnormal platelets are produced by the bone marrow in large numbers. If there are no evident blood disorders in a person, the condition may be referred to as Essential Thrombocythemia. Secondary thrombocythemia is a condition which occurs when an external factor causes high platelets count. Clinical signs are usually enough to diagnose dengue. Persons with dengue usually present with high fever with no signs of any localizing infection, a petechial rash, and thrombocytopenia with relative leukopenia. Leukopenia is the decrease in the number of white cells in the blood. 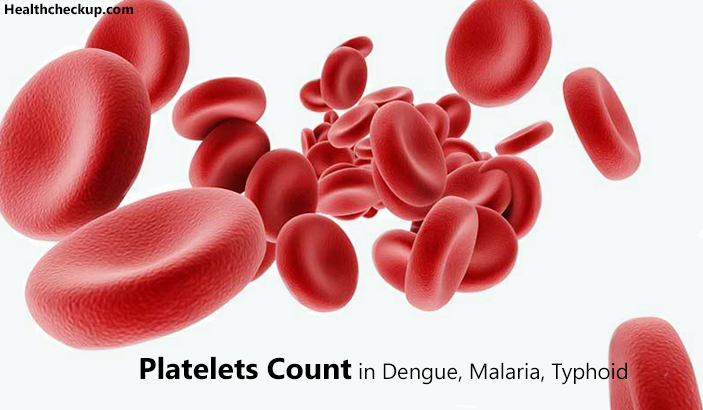 Dengue is usually suspected when the platelet counts fall below 10,000 platelets per microliter of blood. These symptoms usually develop after 4 to 7 days after the patient has acquired the infection, and the fever usually lasts for 5 to7 days followed by a prolonged period of fatigue, joint pains, body pain, and/or rashes. The thrombocytopenia in dengue is caused by the suppression of the platelet producing ability of the bone marrow, the damage of platelets by blood cells affected by the dengue virus, and the destruction of platelets by the antibodies produced by the body during a dengue infection. There are two types of malaria depending on the species of the parasite causing the infection, and they are Plasmodium vivax and Plasmodium falciparum. Thrombocytopenia is one of the most common complications of both types of malarial infections, and a platelets count below 150,000per microliter of blood is indicative of malaria. Malaria usually occurs in persons bitten by a mosquito infected with the Plasmodium parasite. The thrombocytopenia in malaria is said to be caused by coagulation disturbances, splenomegaly, alterations in the bone marrow, platelet destruction mediated by antibodies, and oxidative stress. Chickungunya is not rare now. It is common viral infection caused by an alpha virus that is spread by the bite of mosquitoes belonging to the genus, Aedes, which are Aedes Aegypti and Aedes Albopicticus. It is characterized by platelet counts lower than 150,000 platelets per microliter of blood. The diagnosis of chikungunya involves a number of blood tests to detect the presence of chikungunya virus or antibodies. The serum and plasma are checked for thechikungunya virus, a virus-specific immunoglobulin (Ig) M, and neutralising antibodies. In addition, a complete blood count test and platelets count are also done. Typhoid fever is a bacterial infection caused by the bacteria Salmonella typhi (S typhi), which usually causes diarrhea and rash. The bacteria S Typhi usually spreads through the consumption of contaminated food, drink, or water. The common diagnostic tests include a complete blood count (CBC) which shows an increase in White Blood Cells (WBCs). The platelets count usually shows a fall in the platelets levels below 10,000 per microliter of blood. A blood culture done during the first week of the infection may reveal the bacteria S typhi. Additionally, a stool test may be done, and an ELISA blood test may be ordered by the doctor to look for antibodies to the S typhi bacteria. Thrombocytopenia or low platelets count is the second most common blood disorder found in women during pregnancy after anemia. 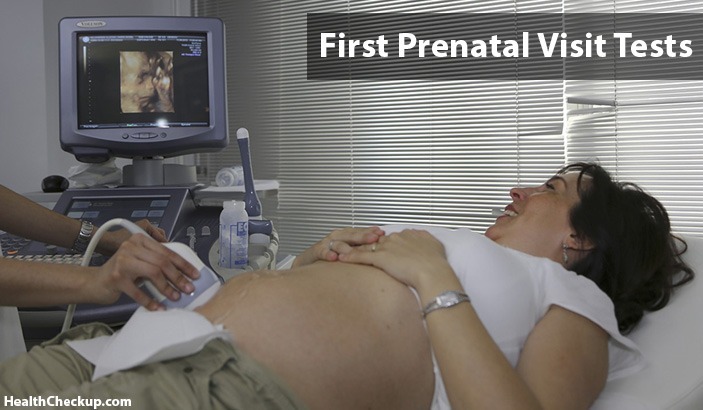 About 7 to 10% of pregnant women suffer from thrombocytopenia. It is usually common for the platelets to undergo many physiological changes in pregnant women, but severe pathological changes can cause thrombocytopenia. A normal platelet count is considered to be 150,000 to 450,000 per microliter of blood. A drop in the platelets count below 150,000 or a platelets count below the 2.5th percentile for pregnant patients i.e. approximately 116,000 platelets/ microliter is known as thrombocytopenia. Also, pregnant women bearing twins will exhibit higher levels of thrombocytopenia as compared to those bearing a single child. The normal platelets count is the same in the elderly as for those of younger ages, and any blood platelets count below 150,000 per microliter of blood is considered to be thrombocytopenia.